Forager is a men's concept line of footwear, apparel, and accessories inspired by mushrooms and the act of foraging. 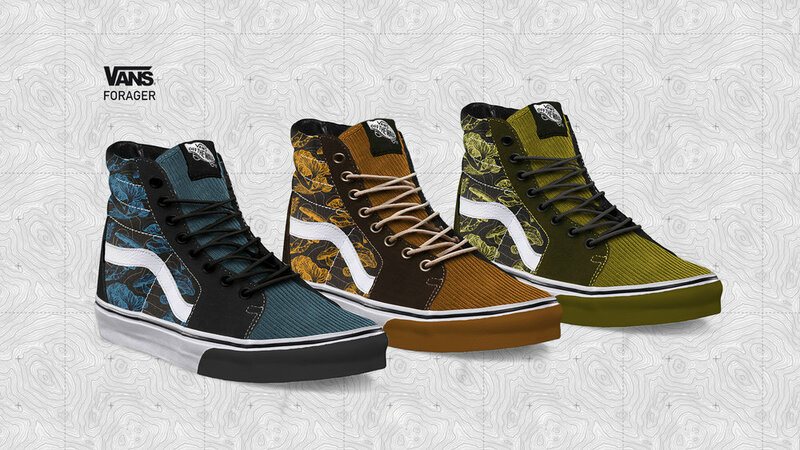 Different design elements call back to the visual traits of mushrooms, wood grain, and topographic maps. 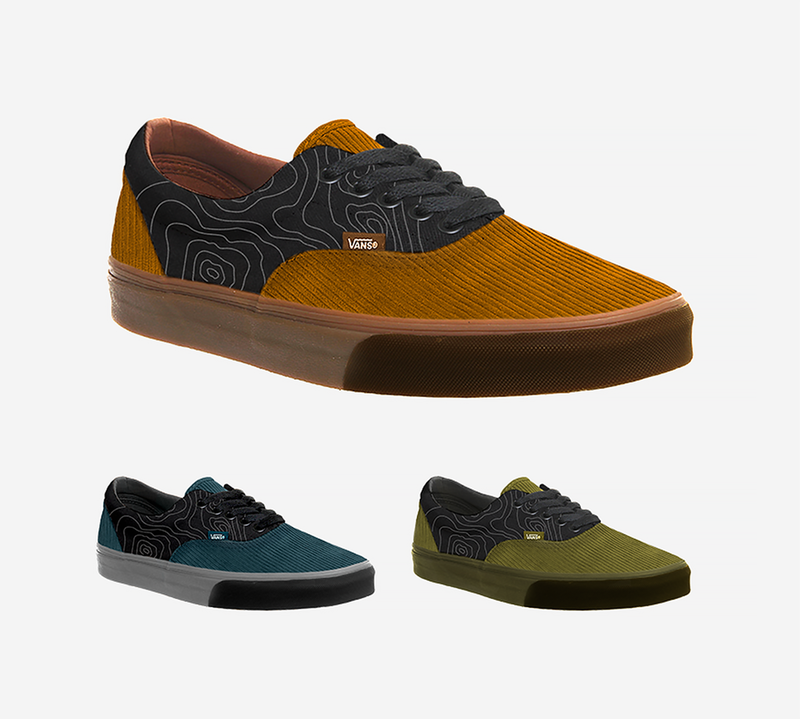 The collection is for the adventurous fun guys who enjoy the outdoors. 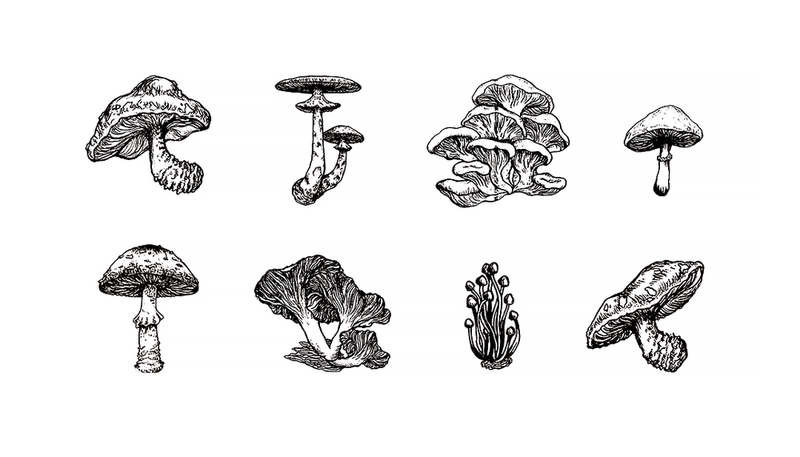 Various species of mushrooms, both edible and poisonous, were hand drawn to mimic journaling and recording information when going out to forage. The organic linear motif were inspired by topographic maps and a reference back to tree bark and rings. Corduroy was the main textile choice for this concept to reference the gills found in mushrooms. 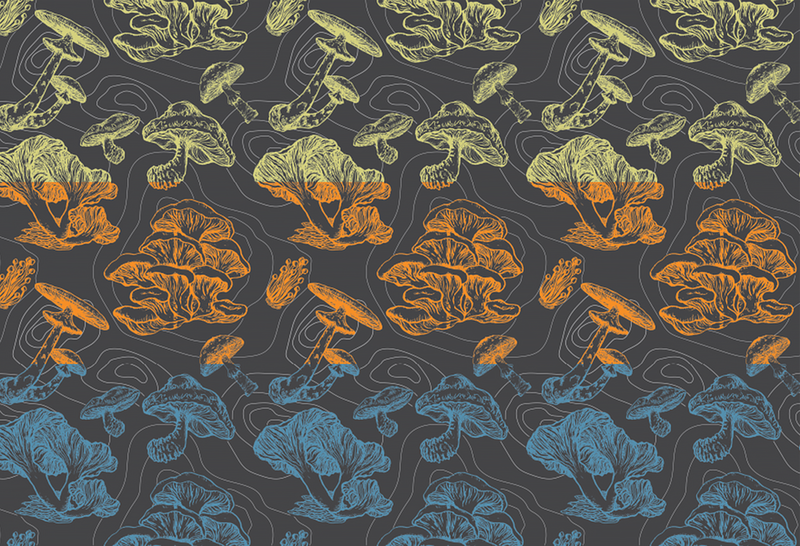 The palette reflects colors of the woods, fungi, lichen, and the forest floor.